Citizens Project Office is Moving! Citizens Project is excited to announce that the office will be moving August 1st to a downtown location right above Poor Richard’s. 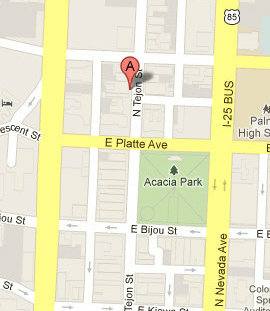 The new address of the office will be 322 N Tejon Street Suite 224, Colorado Springs 80903. Any mail should continue to be sent to: P.O. Box 2085, Colorado Springs, CO 80901. Please stay tuned for details about our open house! No Replies to "Citizens Project Office is Moving!"